I don’t feel I got a lot done last year writing-wise. Yes, I did NaNoWriMo and finished my 50K. But, as usual, the story isn’t done and I have no idea when it will be. There are so many WIPs waiting in my Dropbox that are whispering for my attention; their combined cries are quite the cacophony. My beta, ThatGirlSix. has been editing Moonstrike! for me and boy, do I have a lot of flaws! I know I can fight them and bring the story to a new level, but again, it’s not finished, and that’s on me. It’s weighing on me a lot. My desire to write more is diminished and I don’t know what to do about that. Also, I haven’t been reading beyond fanfic, webcomics, and Twitter or Facebook. So many books out there to choose from and none of them tempt me. The hubby reads constantly, always checking books out of the library. His six weeks of enforced inactivity gave him plenty of time (he broke his foot at work). And yet I can’t make myself leave the house to get something new to read. This has got to change. Somehow, someway, I have to get my writing mojo back. I have to fall back in love with it. Otherwise, I won’t be able to silence all those whispers clamoring for me to open up a file and finish their stories. A good friend said that to me when I posted a link to a blog post I’d written for NaNoWriMo! 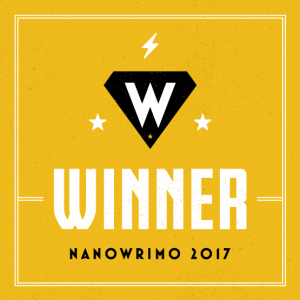 They do a “Road to NaNo” series leading up to the start of NaNoWriMo and ask Municipal Liaisons from a variety of areas to write them. I said I’d be willing and they picked me! My co-ML and I are getting things ready for the 2018 season. I’ll be writing a sequel to my superhero novel of last year. Not sure how well it would go; I have one starting scene in my head and a vague direction to go but no ending… yet. As usual, I’ll just wing it. Story’s not finished, but that’s par for the course. More takeaway later. I tried Camp NaNoWriMo again in July and failed miserably at it. Wrote hardly anything, possibly because a series of health-related issues among the parental units kept me on edge. In August, my husband and I went to visit those same parental units during a two-week long trip to points north. (We celebrated our 30th wedding anniversary the first week.) I came back sick with a cold that hung on for a couple of weeks. Since then, I’ve tried to catch up with the housework and gear up for … yes, it’s NaNo season again! This year’s theme is superheroes and it got me thinking about my writing. I realized, no matter whether I was writing fantasy or fan fiction, I was always writing about superheroes. Whether they used magic or technology, it was always superheroes! (A possible exception would be The Door to Anywhere.) So, before I even knew what the theme was, I had planned on actually writing about superheroes–comic book style heroes with colorful outfits, capes, masks, the works! I’ve also decided to be a “plantser” this year. Normally, I’m a “pantser”, someone who writes by the seat of their pants, as opposed to a “planner”, someone who plans everything out. 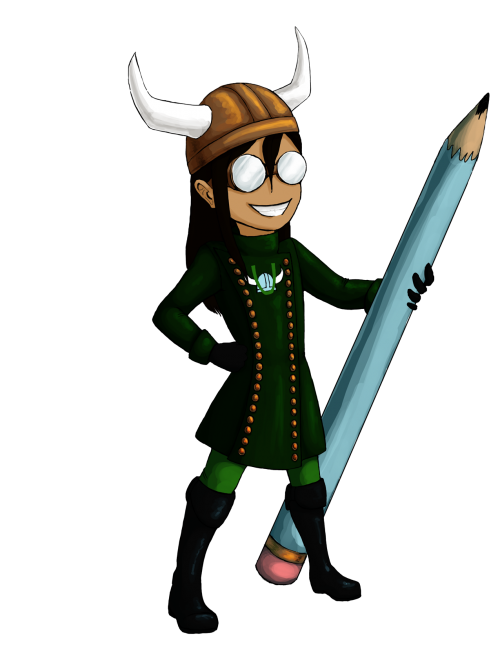 This time, I’m going to do some prior planning–character sheets, a bare-bones plot outline, and a bit of world-building as well. Maybe then I can make it to the actual end of my story and finish draft zero! This is my 10th year as an ML for Greenville. 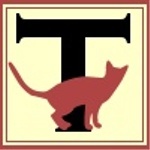 I have a new co-ML in Tyffani Clark Kemp, a writer with her own publishing company. The library system has filled our month with write-ins; seven branches in all are participating. Tomorrow I have a table waiting for me at the Main library’s Southern Author Festival. It means I have to get up early to make sure all my ducks are in a row. So, until later days, y’all!